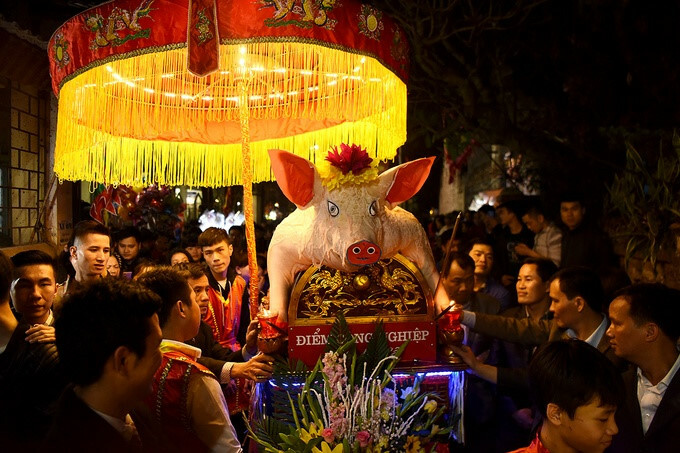 The pig procession festival held in La Phu, Hoai Duc district, Hanoi on the evening of February 28, generated a lot of attention and attracted thousands of local people and visitors. 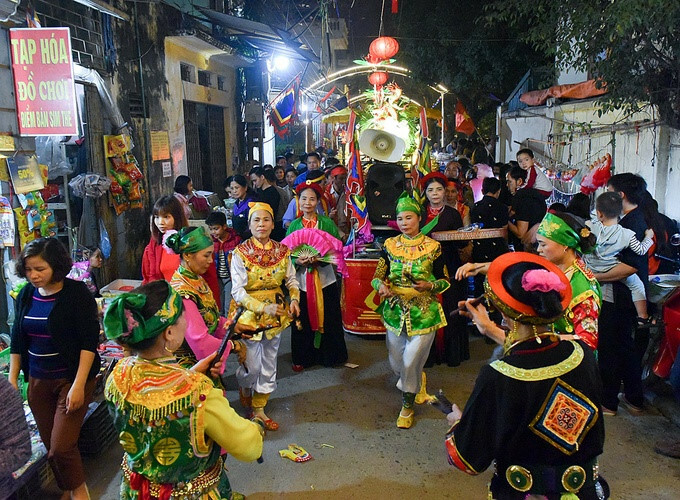 The festival is held to commemorate the Great Holy Tam Lang in the 6th Hung Due Vuong, who struggled to bring peace to the nation. 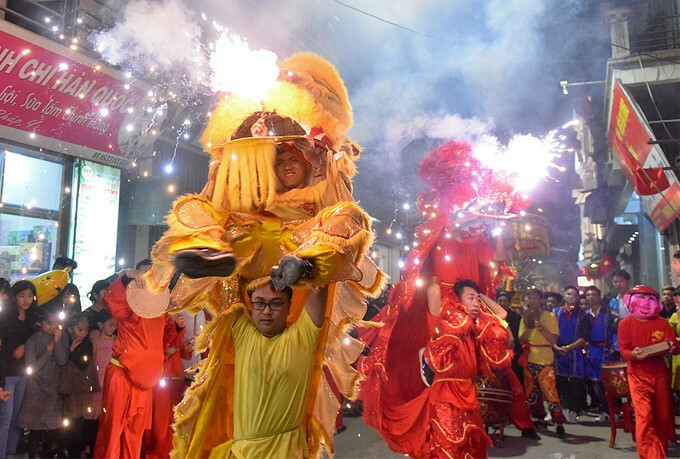 La Phu villagers worship him as the tutelary God of the village. 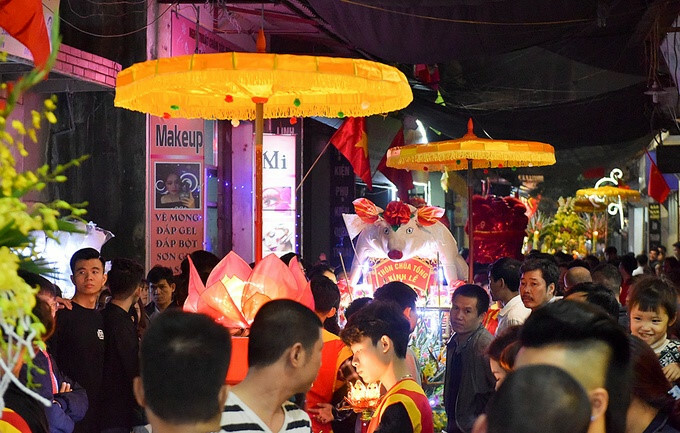 Whenever the enemy troubled the area, the villagers prepared steamed sticky rice and pork to offer a feast to the general and his troops before their battles and after their victories. 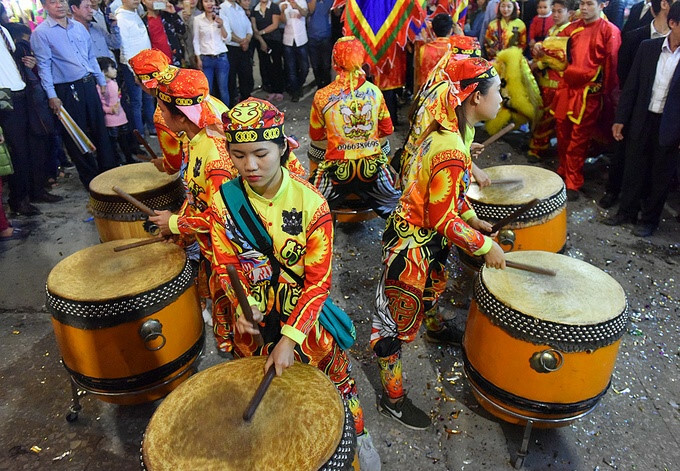 The festival runs from 6pm to midnight on the thirteen day of the first lunar month. 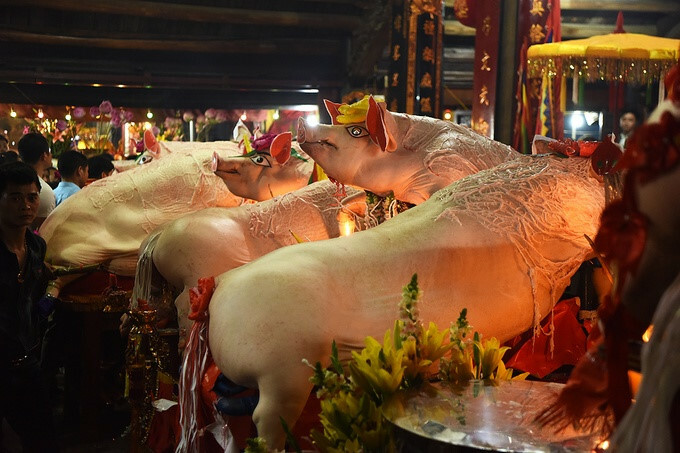 Large pig carcasses are paraded along the village path to the communal house as an offering to the tutelary God. “Mr Pig” was raised with extra special care from the previous year. 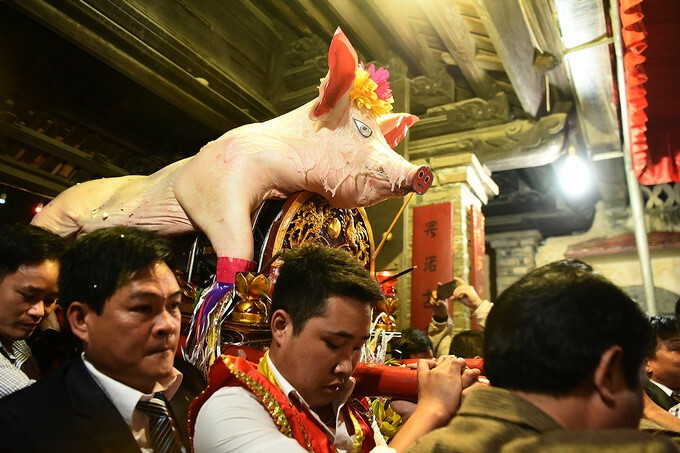 17 The “Mr Pigs” of 10 communes are presented as an offering to the tutelary God. 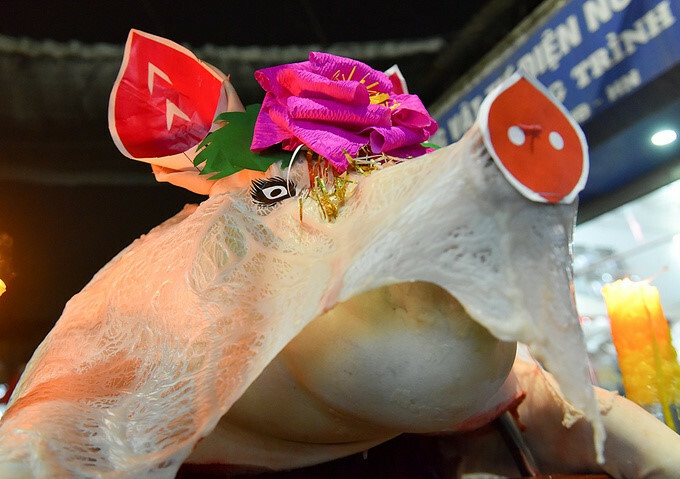 After the elders hold a ritual ceremony, the “Mr Pigs” are returned to their commune and divided among local households.